Microsoft’s Outlook mobile app released on Amazon Appstore for Android. 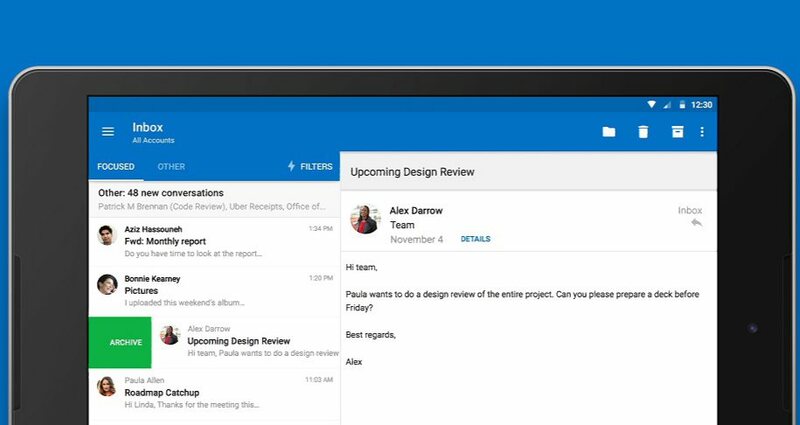 Outlook app offers many features like swipe gestures, smart filters and inbox management with a focused inbox that displays your most important messages first, . Outlook app comes with Word, Excel and PowerPoint integrations. You will get access to your calendar and files right from your inbox. Outlook app also works with Office 365, Gmail, Microsoft Exchange, and Yahoo Mail. Download it here from Amazon.